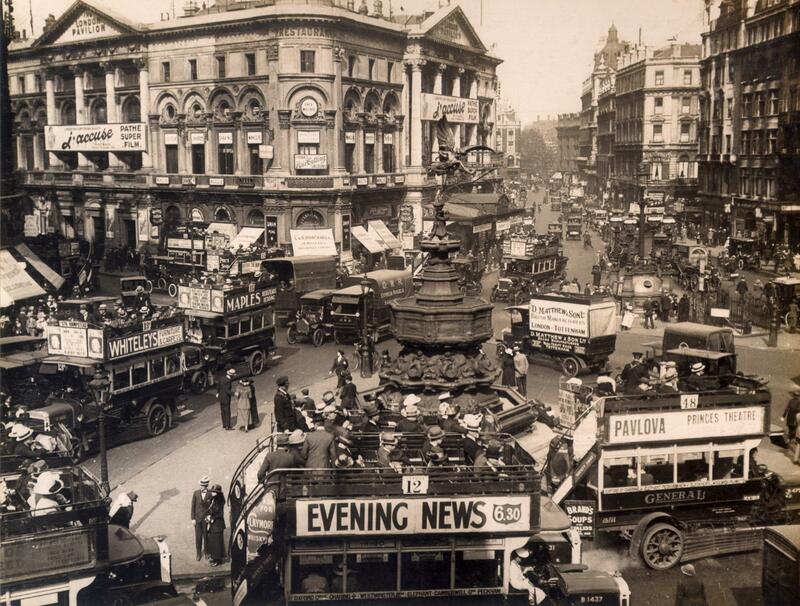 Gyratory traffic round the Eros island began on Monday 26 July 1926, the same day that one-way traffic was introduced for Haymarket southbound and Waterloo Place and Lower Regent Street northbound. As the picture shows before then vehicles took the shortest route across the Circus between their entry and exit points . The buses In the foreground have come from Regent Street and are heading to Lower Regent Street; traffic in the opposite direction would be passing out of shot between them and the photographer, (who might possibly have been on the top deck of a bus going that way).